Growing out of the stonerrock scene where they emerged in 1998 with their debut 7″ single which was awarded “Single of the week” in KERRANG! magazine, Dozer celebrates ten years as a band this year and what a way to celebrate. With new album out on Small Stone records and a world tour in the planning, Dozer are ready to offer the world a slab of what real passionate music can be all about! 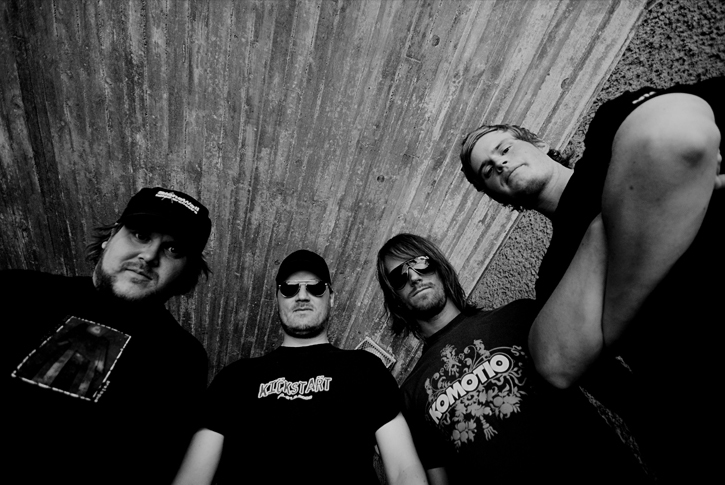 Dozer have progressed beyond their early influences and created a style of their own incorporating modern elements into their classic heavy rock sound. A sound that always has been intensly heavy but yet also strongly song and melody driven by the distinctive vocals of singer Fredrik Nordin. They recorded their upcoming fourth full-length album in Seawolf Studios, which is situated in an old russian army fortress on the island Suomenlinna in the inlet of the harbour of Helsinki, Finland. The fortress 5 ft. thick walls were vibrating with the full blast of bassist Johan Rockner’s bass lines and drummer Daniel Lidën probably awoke a few ghosts with his marching band style drum fills. Mastodon’s singer/bass player Troy Sanders dropped by in the studio to lay down some guest vocals on the track ” Until man exists no more”. 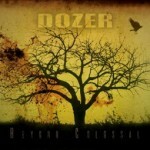 As millions of other young bands, Dozer started their career out of the boredom of their small town youth, playing local youth centers and supporting whatever band that came to visit their hometown. They didn’t really try to hard to get a record deal but sent a demo tape (yes, in those days people used good old tapes) to Man’s Ruin records, which was one of the hottest labels of the time. The legendary Frank Kozik liked what he heard and the band quickly recorded an album. 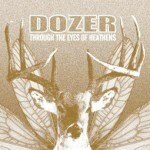 And in year 2000 the first album by Dozer “In the tail of a comet” was released. The album, recorded for only $500 was highly acclaimed and was on several best of lists for that year. The band’s second album”Madre de dios” was released on Man’s Ruin in 2001 but the label went belly-up soon after the release and so the band decided to take matters into their own hands. For their third album they worked with Swedish top-producer Chips K, known for his work with bands like the Hellacopters, Sahara Hotnights etc. Call it conspiracy was released 2003 on the bands own label Molten Universe and was very well received by media and fans, scoring great reviews in many magazines. The true qualities of a classic rock ‘n’ roll band is shown in the live performance and Dozer has certainly got top quality to offer their audiences. Touring has been a constant factor for the development of their fanbase and their reputaion as a high class live act is rock solid. Just taking a look at lead guitarist Tommi Holappa sweating it out on stage will tell you this is a band that always gives 110%. The band have to date played more then 300 live shows and done countless tours, playing in Europe, USA, Canada, Australia and even on Iceland. They have toured with and supported bands like Mastodon, Rollins Band, Hellacopters, Spiritual Beggars, Clutch, Unida, Zeke, Nebula, Entombed and many more.